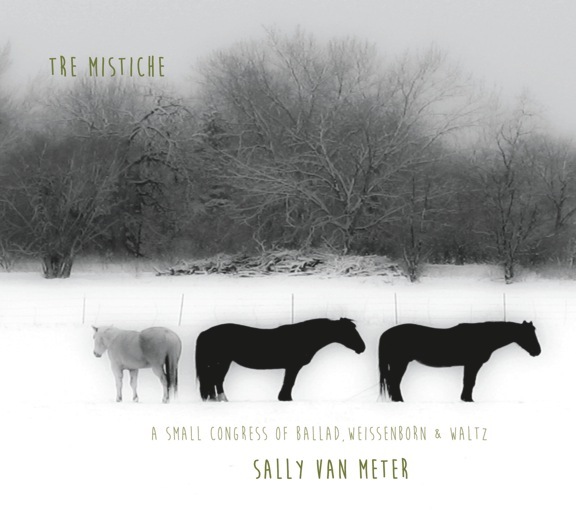 Sally Van Meter, Tre Mistiche: A Small Congress of Ballad, Weissenborn, and Waltz (Live Oak Records, 2015). Available from artist on her Facebook page. It’s very likely that Sally Van Meter was the first female instrumentalist to win a Grammy for her work on The Great Dobro Sessions (that comes from the Shubb artist page, along with the story of the tone bar she designed for them). 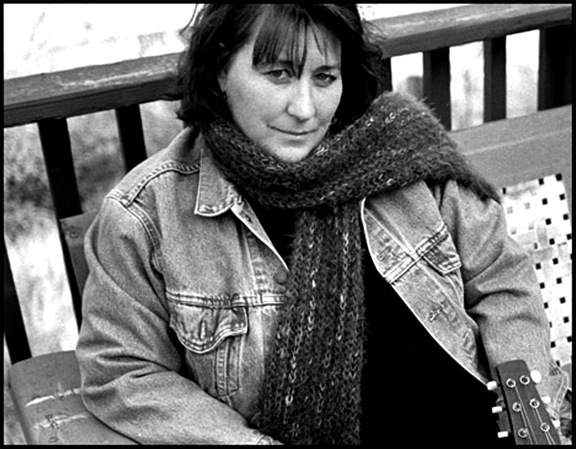 Long-time member of the Good Ol’ Persons band, Van Meter has also released a solo dobro album (All in Good Time) , recorded with 60’s icons Chris Hillman and Jorma Kaukonen, and found time to pursue her interests in film production and photography. The EP’s liner notes describe this collection as “small gatherings—a fine musical cohort, me, and a very old Weissenborn feels just right. “ The seven duets of mostly traditional tunes feature four guitarists, each bringing a different complement to Van Meter’s singing melody lines. Hard Times (Come Again No More) with Led Kaapana matches the slack key master’s echoed guitar with Van Meter’s simple statement of the tune, the guitar adding lines until it creates a kind of counterpoint. Irish singer-songwriter Gerry O’Beirne plays guitar and ukulele arpeggios on the gentle Margaret’s Waltz. The sync between rubato weisenborn and guitar lends a dark beauty to the modal melody of My Lagan Love. Their final duet, Na Geadna Fiadaine (The Wild Geese), again departs from regular rhythm to conjure images of watching a sunset in fall. Northumberland blues guitarist Johnny Dickinson contributes some additional bottleneck slide guitar on two of his own tunes. Listeners might think of Leo Kottke in the B part of Little Mischief, but it is here surrounded with a playful dance instead of a Vaseline machine gun. Their second pairing, Feathers of Fen Rother, first sounds celtic, then upbeat country. The set closes with old-time hero Bruce Molsky’s fingerpicked guitar and rugged vocal on Little Satchel, an invitation to marry and go to “Californie”– whether or not the bride’s father gives his blessing. This collection becomes more appealing with each hearing. Because it was recorded in various live and studio settings, the sound of the weissenborn is a bit different from song to song; the magnetic pickup on Feathers gives a new sound to the slides, hammers, and pull-offs. For me, the variations make the listening a bit like a journey with unexpected discoveries and pleasures around each bend. Every tune highlights Van Meter’s spare melody and backup lines, some of the most expressive and musical I know. The duet format worked very well; here’s hoping for another will that includes Van Meter’s talents on dobro and lap steel as well. Paul Koptak is a Professor of Theology at North Park Theological Seminary in Chicago as well as a lifelong fan of resonator, Weissenborn and lap steel guitars. When he’s not busy with his day gig Paul can be found playing his dobro with his band – The Lonesome Theologians.